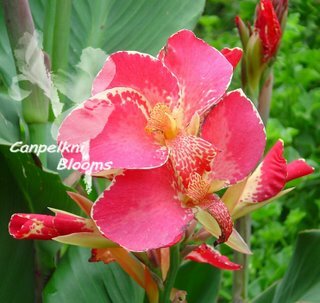 Australian Canna Annjee is one of the most beautiful flowering varieties amongst the pink cannas. 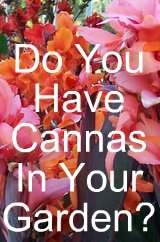 With medium sized flowers you know this is a special canna even before they have fully opened you can already see her spectacular colours of cream heavily splotched and trimmed with bright pink. 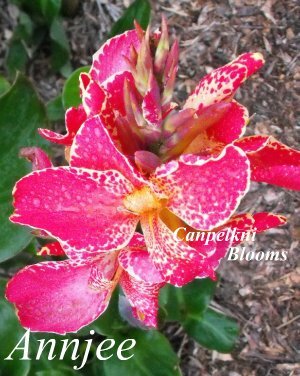 Her amazing flowers make any beautiful flower garden come to life with such vibrant yet dreamy cream mottled blooms. 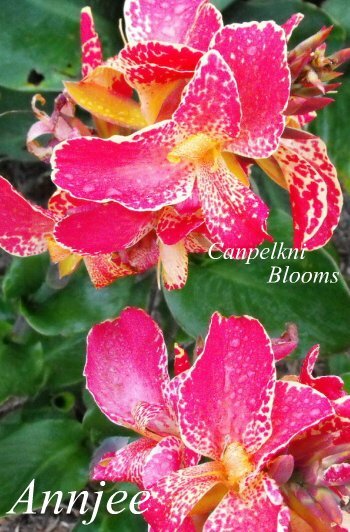 The labellum and stamen is so tropical looking with so much pink drooled and blotched over them. The leaves on her are green and they also shows a burgundy coloured margin on new growth, as the leaves age the margin fades to clear. In my garden Annjee grows up to 1.2 meters tall and also seeds. 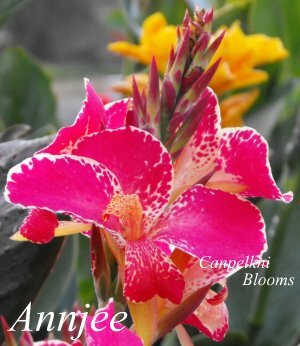 Annjee is the parent plant of the fairly new plant called Annjee Baby. 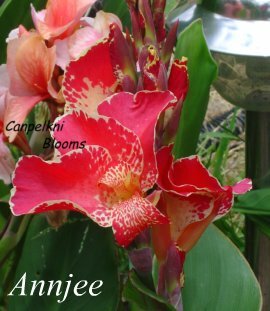 This is thought to have been raised by a gentleman named Frank now residing in Queensland and I have heard he apparently named it after Anne Glancy of Victoria.